In Egyptian mythology, Sekhmet was a fierce and violent warrior goddess. The sun god Ra had become angry because mankind was not following his laws, so he sent Sekhmet to destroy the people. The fields ran with blood, but the sight of the carnage caused Ra to repent. He ordered Sekhmet to stop, but she was in a blood lust and would not listen. So Ra tricked her by pouring jugs of wine in her path. She gorged on what she thought was blood and became so drunk that she slept for days. When she awoke, Sekhmet had transformed into the benevolent goddess Hathor; her blood lust had disappeared, and humanity was saved. Every year in what is now the month of August, Egyptians held a great festival to celebrate the Drunkenness of Hathor. This massive event was the largest of its day, and coincided with the start of Akhet season - when the Nile River would begin to rise. Tens of thousands of people from all across Egypt traveled to this great event. Today, we honor the saving of mankind by releasing a new vintage of Ankh during the Akhet season, and by placing an icon representing Hathor on every bottle. That was lifted right off of Ankh Wine's website. How freaking cool is that? I love it when a wine speaks to my inner history geek like that. Ankh was founded in 2007 by Mark El-Tawil and Scott Ptacek. I'll be reviewing two of their wines. Today is the Ankh Napa Valley Cabernet Sauvignon 2012 and in a few days it will be their El Nil Napa Valley Red Wine 2012. 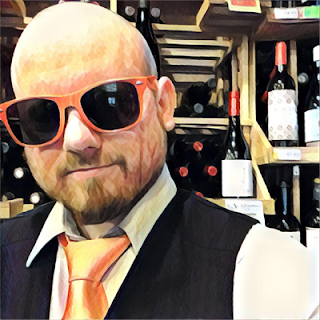 So I like to put on some good jams when I'm tasting my wine, and you've seen my music selection range everywhere from atmospheric death metal, to classic rock, to gangster rap, to soothing instrumentals. 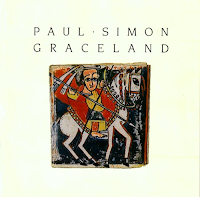 Tonight I'm going with an album that I adore for sentimental reasons: Paul Simon's Graceland. 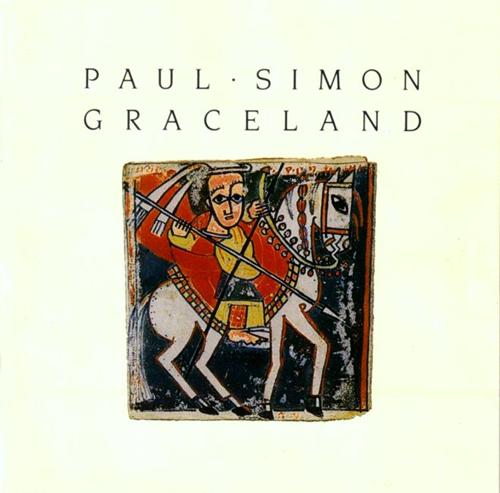 It brings me right back to when I was ten years old and traveling the country with my father and my grandfather, because it was one of the cassette tapes being constantly played in the RV. I know this album by heart. It makes me incredibly happy when I hear it. This wine is in for a good time. 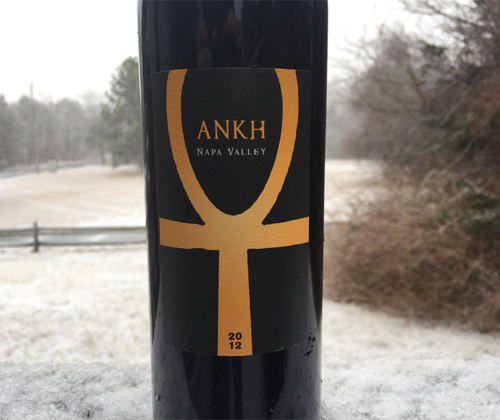 Ankh's 2012 Napa Valley Cabernet is 86% Cabernet Sauvignon and 9% Merlot, with Petite Verdot and Cabernet Franc as the remaining 5%. The fruit comes from the Napa regions of Rutherford, Coombsville and Atlas Peak. It saw 24 months in French Oak barrels and 12 months bottle aging. 200 cases were produced and it has an ABV of 14.9%. The color of the wine is a dark purple that stains the glass. On the nose there's aromas of black cherries, black currant, powdered cocoa, black olive, mint, and cool dark earth. Man. I could smell this wine all night. That is a killer nose! In the mouth it's full bodied, has a minerality in its texture, sturdy tannin and a nice acidity. There's flavors of black currant, blackberries, dark chocolate and oak. It finishes with black currant, minerals, and a little heat. The Merlot definitely comes out throughout this wine. If I was in the position to be buying bottles of wine for $50 I'd be up for exchanging said money for the subject wine any day. Five years old and it's ready to go now, but it could be hidden away for another half a decade if you wanted to do so. The bottle used was supplied free of charge for the purpose of this unpaid review. To have your wine reviewed follow this link. The executive chef here was a genuinely nice person and never made us feel like we were just "business" for him. He was extremely competent and organized. Because of the natural beauty of the event venue, we were able to get away with very minimal decorations. - Green Arrow #85 (1994) - "Chaos Theory"
- Justice League Odyssey #8 - "Four Against The Dark"
- Detective Comics #1001 - "Medieval"
- Green Arrow #84 (1994) - "Strange Attractors"
- Justice League Odyssey #7 - "Death of the Dark"